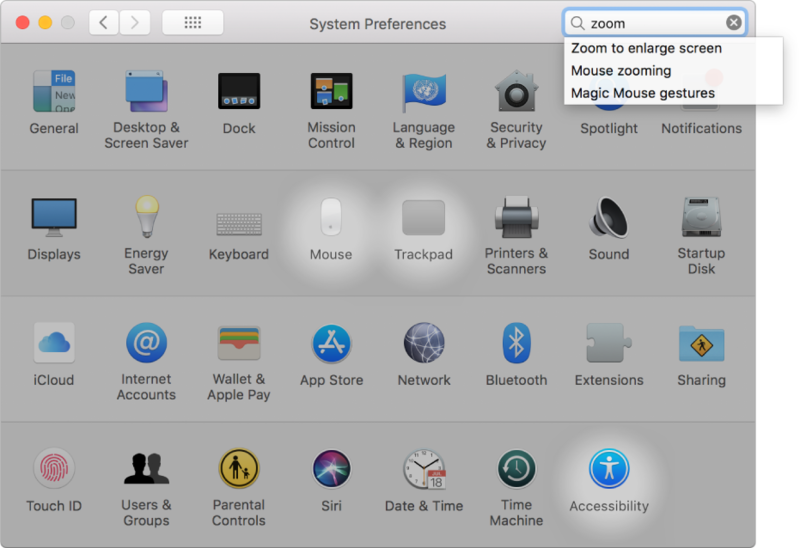 You can adjust system settings to customize your Mac. For example, you can change the size and location of the Dock, choose a desktop background, and more. 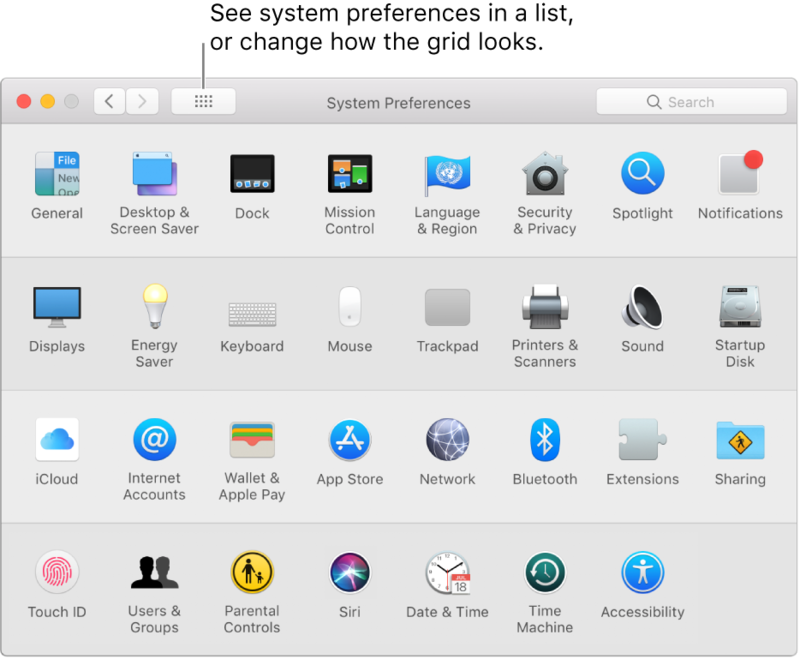 To open System Preferences, click the System Preferences icon in the Dock or choose Apple menu > System Preferences. Options are organized into preferences. 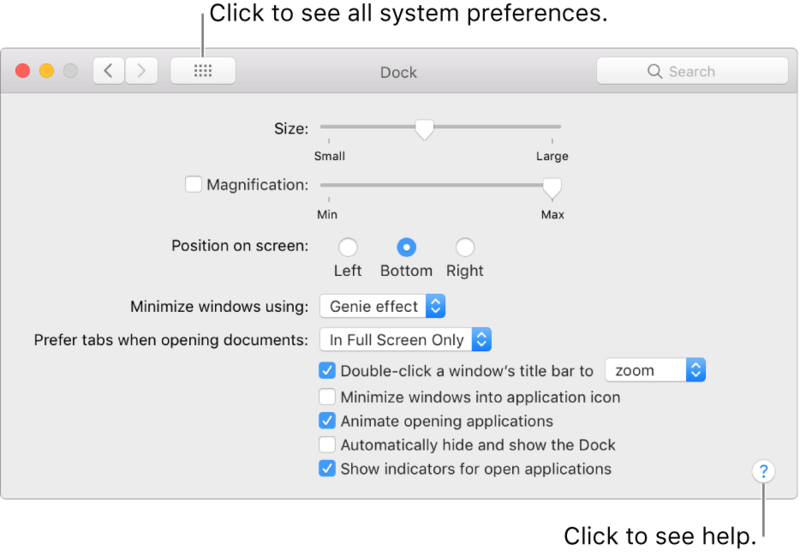 For example, options that control how the desktop appears are located in Desktop & Screen Saver preferences. If you want to change an option but don’t know where to find it in System Preferences, use the search field at the top of the window. Options that match your search text are listed, and the preference panes where they’re located are highlighted.